Yesterday, we shared our chat with the Collaboration King, John Gladigau, and now we want to know who inspires you! Who do you know that connects people, shares their knowledge and time or perhaps you know of a producer group that works together in new and innovative ways etc. Please let us know by commenting below or on our social media accounts. 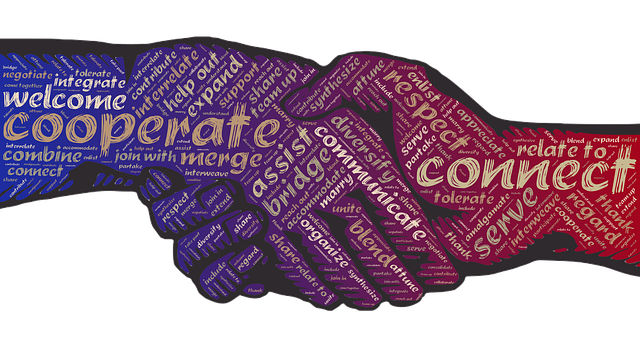 Co-operatives offer a business and organisational structure that delivers for people and their communities. This is a downloadable guide to understanding, starting, planning and running a co-op in NSW. Distributing or non-distributing co-op? Learn more here. Distributing Co-operative: This Co-op Builder will guide you to customise a constitution and a disclosure statement for a distributing co-operative (trading co-operative in Queensland). Non-distributing Co-operative with Shares: This Co-op Builder will help you draft the constitution for this type of co-operative. Non-distributing Co-operative without Shares: This Co-op Builder will help you draft the constitution for this type of co-operative. Plus, there is also a a number of online courses available. Click here or on the picture below to learn more. This paper provides an overview of collaborative business models and their advantages and issues. Understand the different models of collaboration available (including co-operatives and collaborative businesses) and the benefits/issues with them. This brochure introduces collaborative marketing to small to mid-sized farmers who are considering joining with several like-minded producers to market and distribute farm products. A worksheet to help you organize the basic aspects of collaborative marketing is included. This news article investigates three collaborative farming ventures in America and Australia. No matter how different these successful operations are they attribute their success to sharing similar values, being able to resolve conflicts, opening lines of communication and demonstrating respect for each other. This scholarship paper written by John Gladigau documents his personal journey of changing the business structure of his family farm and a study in collaborative global farming ventures and the huge potential to the Australian farming industry. Read a video transcript of Mallee farmers Dean Wormald and Adrian and Heather Gava who recently joined forces on a collaborative farming venture. Start here if considering setting up a co-operative in Victoria. A government website where co-operatives can gain information and links to licensing and registration in Victoria. On September 1, 2015, the Cooperatives Act 1999 was replaced by the Co-operatives National Law (Tasmania) Act 2015 and the Co-operatives National Law (Tasmania) Local Regulations 2015. Links to a Fact Sheet explaining the Co-operatives National Law and new forms are available. Guides you through the three steps to registering a co-operative with links to news, updates in law, video and audio plus links to associated forms. A government website for co-operatives in QLD with links to registering, governance, forms and fees, co-op search and ending a co-op. Also has PDF downloadable Cooperatives Act 1997 and Cooperative Regulation 1997. This government website outlines the nine steps to take to register a co-operative in WA. 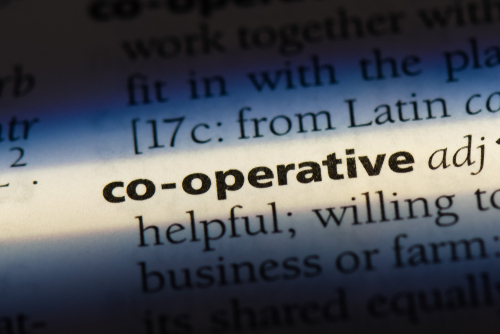 The page provides information on the co-operative business model, the advantages, and disadvantages, key factors for choosing this structure and how to register as a co-operative. Links are provided to help you choose the right business structure if the cooperative model is not what you are looking for plus links to licenses and registration and finding grants and assistance. This submission summarises a number of legal issues faced by the co-operative model in Australia. The conclusion is that government take a more active role in legislating to promote and protect the cooperative business model in Australia. A paper looking at the number of Australians who are members of a co-operative and the lack of community awareness about. Conclusion: co-ops play a significant role in the economy and society. They have a low profile. Policy makers misunderstand consumer understanding of co-ops. Co-ops need to explain ownership structure and benefits to members. Government needs to be more aware of the contribution to community and benefits to members. This document provides case studies on some of Australia’s leading co-operatives and describes the significant role that co-operatives play in the economic vitality and community life of Australia. This paper discusses the five reasons for the ongoing success of agricultural cooperatives in the Netherlands. This paper aims to explain the participation of members in the governance of agricultural cooperatives in France based on trust and organizational commitment. The results of this study display that trust is the starting point which explains a member’s favorable behavior towards his/her cooperative. Members’ trust in their cooperative depends on the cooperative’s capacity to act competently and reliably and to make the right decisions while still showing goodwill, remaining close to members, considering their demands and concern for their interests. A case study of Value Added Products (VAP) Cooperative explaining the phenomena of the new generation cooperatives development is important in understanding why some producers invest in the new generation cooperative investment and some do not. Results suggest that non monetary benefits from investment are significant factors that influence producer investment decisions in the new generation cooperative. No of any great resources out there?! Please let us know. That’s it for another week on Table Talk. We will be back next week with a brand new theme!